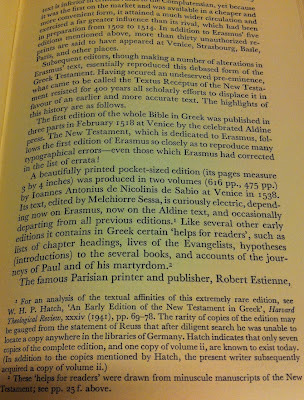 Update: Stephen Goranson found the error, "electric" for "eclectic," and Maurice Robinson identified the publication – the first edition of Metzger's The Text of the New Testament published in 1964. In the image to the left you can see Tjitze Baarda's conjecture in his copy – I think it was he who notified Metzger who corrected the error in the 2d edition. I picked up one book at the International SBL meeting in Amsterdam today, a meeting which meant many good presentations in biblical textual criticism and several good meetings with scholars and friends. 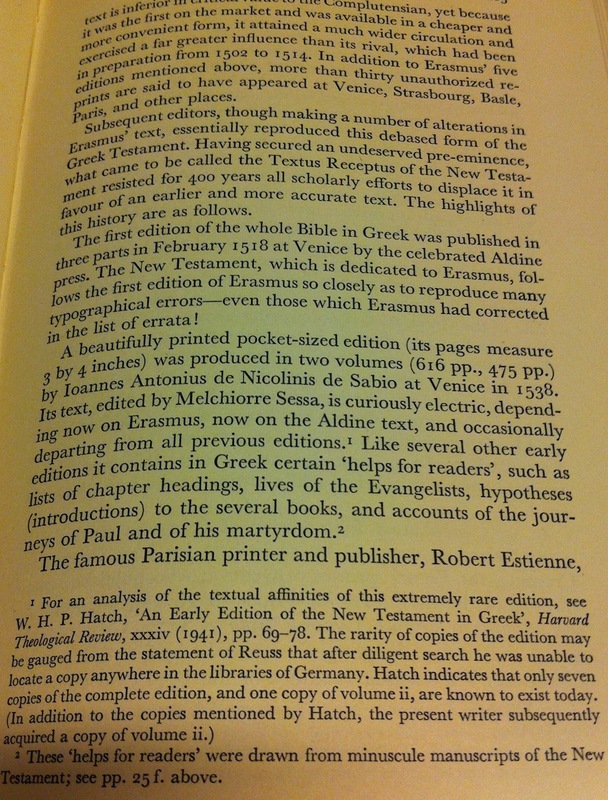 Editing the Bible: Assessing the Task Past and Present. Edited by John S. Kloppenborg and Judith H. Newman. SBL Resources for Biblical Study, 69. Atlanta: Society of Biblical Literature, 2012. Pp. xii + 225. The book is the outcome of a conference on the subject of the title at the University of Toronto in 2007, on which we reported five years ago, here (see also here). 3 John 2: an interesting conjectural emendation? Nestle-Aland 28 at SBL in Chicago! ?